You may read some fiction where the research is very obvious, and whilst that can be attractive to some readers, I prefer to read (and write) stuff that has some factual truth without becoming overly saturated by endless tracts of text devoted to research. When I was younger I never gave much thought about research for my writing, I just made it up as I went along. Searching for facts was a dull past time, a hinderance to the lovely flowing process of getting the words on the page as fast as possible. As my set of writing skills matured over the years I began to see the benefits from research, even if I choose not to use some of the material, at least I felt more confident about certain subjects within the fictional world I was creating. A few years ago I started working on a book based in the real world instead of an imaginary fantasy world. I set aside the book after several chapters as I lost my focus somewhat and decided to concentrate on other projects. I’ll return to it at some point, a fresh look might inspire me to finish it. So what prompted me to take research more seriously? In the opening chapters in my book there are 2 characters who live on a farm. I live out in the country where there is an abundance of farms, and unless you have spent your life in a city you will have no doubt seen tractors and other odd bits of farm machinery crawling along the roads. I had a scene where my 2 characters are chugging across a field in a tractor. In order to describe the tractor I turned to Google Images. I continued with the story but something didn’t feel right, the description of that tractor used for a single scene felt false, if that’s the right word. The story was about amazing events but set in the real world, and I needed that world to be accurate if I wanted to the reader to believe the possibility of anything extraordinary going on in it. As a challenge I visited a local John Deere tractor dealership with the aim of doing some up close and personal research. This was the first time I had approached someone with the line: “I’m doing research for a book, may I ask you a few questions?” It was a strange experience mainly due to the surprising response. An enthusiastic salesman answered all of my questions and even let me climb into the cab of a huge tractor, a big green shiny thing that cost more than the average house. The salesman drew the line at my request for a test drive as I needed a HGV license. It was an invaluable experience and I knew this would benefit my tractor scene. But when I returned to the story I realised my characters were not super rich and most likely struggled by with much older machinery. I was stumped again. You have to ask the right questions to the right people. Through friends I was fortunate to be introduced to a farming family, warm welcoming folk who had an assortment of older farm vehicles. Just the thing I was looking for. The bearded patriarch trekked me across a field to a wonderful blue tractor, slightly aged and well used. I climbed aboard and he explained how everything worked, a vast difference to the air-conditioned, turbo charged John Deere! Much to my surprise he asked if I wanted to take it for a spin! With great care, and with the smiling farmer perched behind me, I slowly drove it around the field and along a dirt track. I was grinning from ear to ear! Okay, so it was only a tractor, but it was an amazing experience to finally get the feel of how it bumped and bounced over the ground, how big the steering wheel was, the sound of the engine and the smell of fumes and old dirt. I adjusted my scene after that, not filling it with endless facts and details, but just enough so it felt real. That got me thinking about what else I could learn that would provide me with more confidence in my writing. Since then I’ve used the “I’m doing research for a book…” line many times. It doesn’t always get results; some people give me a few stunted answers before claiming to be busy. Others are only to happy to chat away, keen to know what I’m writing about and pleased someone is showing an interest in their line of work or activity. Learning to research is a skill in itself. I tend to write fiction based on the premise: What-if…? In the last 2 years I’ve added the subject of research to my writing projects but it hasn’t been an easy thing to manage or get right. Even now I come across something I realise needs to be looked into so I make a note of it and how I can learn more. I’ve been working on a novella (which is now evolving into a series of 3 novellas, or a complete book split into 3 parts if you like) where I’ve needed to do a substantial amount of research in order to make the story flow and allow the characters to react to a bizarre storyline set against the backdrop of a real world. 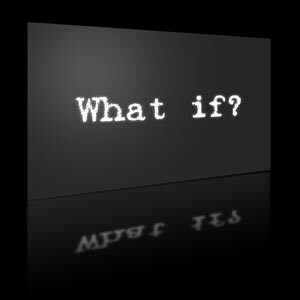 A What if…? idea had been knocking around in my head for some time and when I started making notes I decided to research potential settings first hand. After fleshing out a basic story outline I made a research plan of action. I took a trip out and spent an afternoon taking photo’s of where my scenes would be set. I didn’t just take a handful, I snapped away like a mad man and had over 200 photos at the end of the afternoon. My experience working for an architect had taught me never to rely on a few choice photo’s because later on I would find I needed to see shot from a slightly different view-point or angle. So I had a folder on my PC with a load of photos in it. A good start. Using Google Earth I zoomed in on the streets where my story would take place. Combined with my photo’s I was confident I could lead the reader around an authentic world. I like to think this kind of location research is a bit like waiting for Christmas or a holiday – it’s the anticipation of things to come that I enjoy. I’ve learned not to throw too much information at the reader. Essentially it’s a balancing act between providing just enough to enable the reader to conjure up images, and filling the story with endless facts and side-lining the plot and characters. The internet is a very handy tool for research but it can be a minefield of half-truths, rumour, misinformation and false facts that are nothing more than personal opinion. Official websites are a good basis for fact-finding but I never rely on a single source of information. These days there are endless review sites for pretty much anything you can think of, so I take my time to filter out the irrelevant and dig down to the common truth. Keeping research manageable is possible. I have Microsoft Office Home & Student Edition with multiple licences, installed on my Netbook and desktop PC. I use Word & Excel regularly and several months ago I clicked on Microsoft OneNote out of curiosity. At first glance the UI doesn’t appear to be that interesting or useful but I read through the basic help guides and found I had been missing out on an important bit of software! 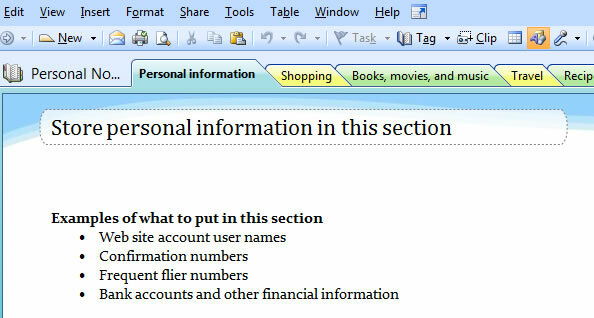 I’d been keeping my research data in .txt files, photo folders and chunks of information in word docs, but OneNote does away with all of that and presents you with a central place to keep your stuff. A big plus is the ability to share a notebook over a network. So anything I do on my desktop PC I can easily switch to my Netbook and my notebooks are there, ready to go! OneNote is truly amazing. Imagine you have a notebook with those coloured section tabs that let you flick to any place with ease, add sections, rename them, insert subsections, change colours, themes, layouts, styles and so on. That’s what OneNote does, and it does it very well. I have 3 notebooks that I use for different writing projects and I constantly keep them up to date. 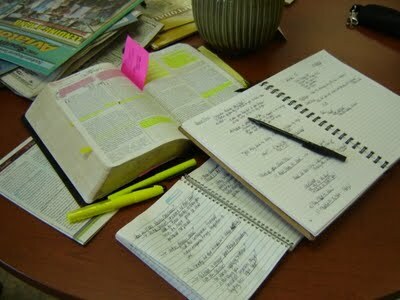 It is such a simple method of keeping track of research. You can capture text and images from anywhere and insert it directly into your notebook with such ease. It might sound like I’m a research nut but there are writers dedicated to research in ways I consider verge on the obsessive, but hey, whatever works, right? If you haven’t played with OneNote, I sincerely recommend it. Manual research can be very rewarding. It’s easy to type stuff into Google and take the results for granted – right-click, Copy & Paste, this is what they teach in schools these days. On another project last year I wanted some authentic pirate lingo for a conversation between a couple of goons. I checked out a few piratey websites but they were limited in their information so I ordered a book from Amazon, The Pirate Primer. Very handy. It sits on my research shelf and I delve into it regularly. Google has its place but it shouldn’t be the only research method you use. Never underestimate the benefits of reading, whether that be fiction or factual. My Top 10 Research Tips. Create a list of the things you need to know for your story. Don’t worry if you can’t think of everything all in one go, just keep an eye on what you have already looked into and what else you need to find out. Your list can be as loose or detailed as you like, and you don’t have to use software for this; a notebook or folder with coloured tabs will work just as well. I like to keep my visual prompts in OneNote but at times I’ll pin pictures to my noticeboard above my screen. If you find describing something a bit tricky then take a good look at an inspirational picture or a photo, then describe what you see, you can always edit it down after, the point is to get your thoughts down first, then worry about how it reads later. If you are able to travel to your location used in your story then do so, even if it’s just to get a feel for the place, it will benefit your confidence when it comes to writing about it. Walk around the place and the feel of it. Make a note of what your senses pick up, the smells and sounds, the feel of a concrete path or wooden boards on a pier for example. Is it windy or sunny? What do the surroundings look like at night? How about local accents or phrases you hear people using? I can’t stress this enough. For me I like to take lots of photos of a place I am describing, if I can get there. All too often you may regret not taking enough or missing out on that one shot you really need. Snap away, you can delete the dross later if you want. Get your photos printed and stick them up where you easily see them. Maps, images, StreetView, Earth – it’s all good. Combine these with other research to help you build up a picture of your story/characters/scenes etc. For example I recently used Google Earth to research a location prior to taking a trip there. In the menu I turned on StreetView and lots of little camera icons popped up. Clicking on these took me directly into a StreetView bubble where I could look around at that particular scene then zoom out and choose another. Handy for working out which locations I wanted to visit. Never be afraid to ask questions. Once you get over that initial “I’m doing research for a book…” weird feeling you may discover that people are a wealth of knowledge. Example: You’re in a cafe and usually you just order your food, eat/drink, pay and leave. Maybe your character is a waitress. So ask your waitress what it’s like when it gets really busy, or does it ever get really busy? You never know what they might tell you! I buy Writers Monthly magazine where they regularly have decent advice about research. Get online and search for writers blogs, like Noobcake these can be written by amateur writers keen to offer their knowledge. Try typing “fiction writing research” into Google and spend some time reading how other people conduct their own research. Unless you want the reader to know every last chunk of detail you should remember that research is there to reinforce your story, to give you confidence about a situation/place/time/object/character etc. It isn’t always important to use every scrap of your research in your story. Most readers know what a spoon is, if yours was made in the Georgian era then mention its elegance or date and move on, the reader is waiting for the guts of that scene, not an in-depth review on spoons. For a recent writing project I needed to find out about handguns. I spent some considerable time looking on the internet but eventually I realised I needed to speak to someone. So I asked at a gun supplier in town who sold air rifles and shotguns, the types used mainly by farmers. I got some useful information and although it gave me confidence to write about guns I only used a sentence or two in my actual story, just enough to lend credibility to my character. Don’t underestimate the wealth of knowledge you can find at your local or city library. If you ask the right questions to a dedicated librarian you can uncover plenty of information stored in actual books or newspapers. It’s all about extended your access to information beyond the screen on your desk. This list isn’t exhaustive, but it should give you an idea of how to make some headway into your research. Writing Companion – An informative writers blog with some great tips & advice. Top stuff. 50 of the Best Websites for Writers – A well presented list of writers resources. Writerswrite.com – A wealth of information on the art of writing, resources for fiction writers & research. The Guardians 10 Rules for writing fiction – Read and digest these, they will serve you well. Check out Part Two too! Writing.com – A well seasoned writers resource covering many areas of writing. Yahoo! Answers – You’ll be surprised by how much information you can uncover here. If you can’t find the answer then just ask a question! Writerly Life – A decent blog with surprisingly intriguing topics. Youwriteon.com – A place to share your written works and post critiques on other works. Writers & Artists Yearbook Online – A superb resource that helps writers make it into print and develop their career.